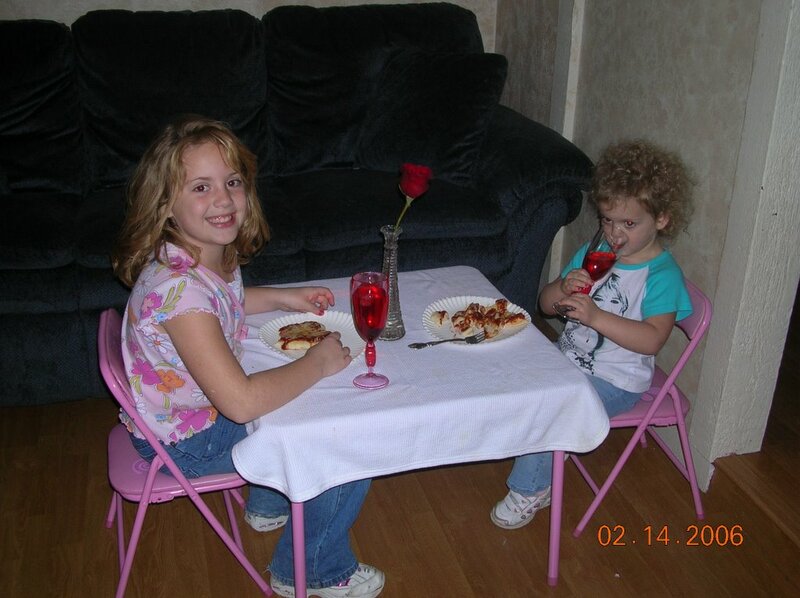 For our Valentine's dinner, Madeline and Taryn ate my attempt at heart shaped pizzas for dinner at their "restaurant" table complete with a rose and heart glasses of course. OK. 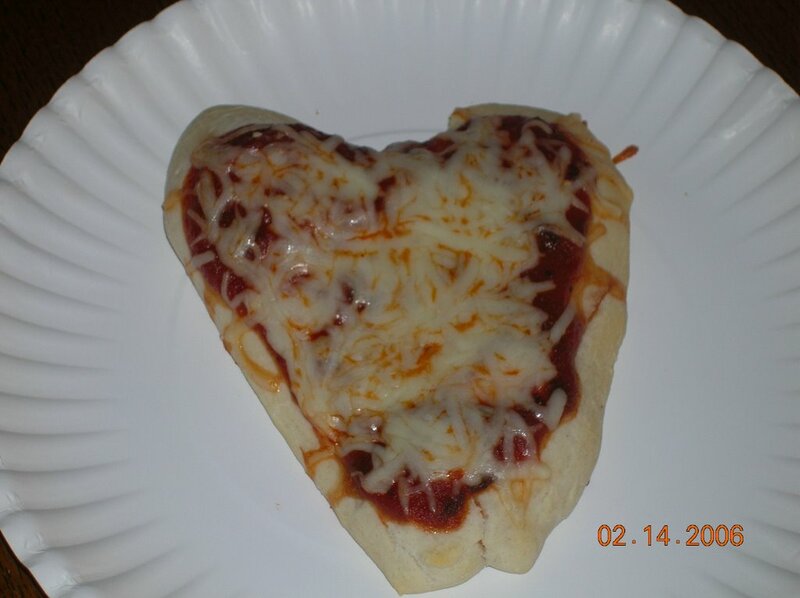 The heart pizza is too cute! :) You did good!! I bet they were so cute eating at the little table with their rose. You're awesome! Thanks! I had fun making them.